Helado. Aisukurīmu. Crème glacée. Sorvete. No matter how you say it, ice cream is delicious in every language. There’s a shared love for this frozen treat — one that transcends seasons, borders, and cultures. 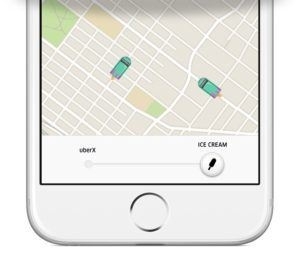 That’s why one day every year Uber brings the ice cream to you — no matter where you are. It’s that time of year again — #UberIceCream is coming to over 400 cities on Friday, July 15th. This year, we are thrilled to deliver premium and indulgent ice cream bars across the globe. From Abu Dhabi to Zurich, each city is adding their local flavor by making ice cream deliveries by land, sea and sky. So join us for a global ice cream social on Friday. Indulge a sweet treat with your friends and share with the #UberIceCream hashtag! Tag @Uber_Florida on Instagram and/or Twitter for a chance to be featured and win cool prizes! Visit uber.com/promo/ice-cream to get the full scoop.